I have really been thinking about my online presence lately. In June and the first of July, I was online a great deal, specifically tweeting about amazing learning opportunities. Then, on July 16, the day after I did some work in Illinois, I stopped most of my professional online activity cold. For almost a month now, my online presence has found me focused on mostly the social aspect of Facebook, staying caught up with friends' lives, and every once in a while, reading or bookmarking a professional article of interest. I've missed the last two #titlechats, which is unheard of for me. I haven't written a blog post, but I have been writing and composing many other pieces. I didn't even participate in #PB10for10 today. 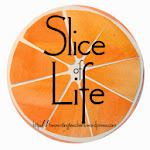 I think after the flurry of professional activity in June and the beginning of July, I needed to step back, and enjoy some "me" time; I needed time to refresh and renew. So in the last month, I've read more fun adult books than I can ever share here :), I've spent quality time with my husband, we carved out time to go to DC to visit our eldest, I've taken up knitting again, planned and remodeled two of our bathrooms, and spent much time with friends. It's been a great summer. But now it's time to come back professionally. Last night I participated in my first twitter chat of the summer with the #TWTblog ladies and many other smart educators. It was incredibly energizing, and has me excited to work with teachers in my new role as literacy coach thinking about writing workshop. It felt good to be back and having dialogue about important topics. This week will be a busy one professionally: I will spend time setting up the office I will share with other coaches in one of my buildings, and will also have one more day of coaches' training. In addition, there are many professional books and articles which still have to be read. I may even write a belated #PB10for10 post. 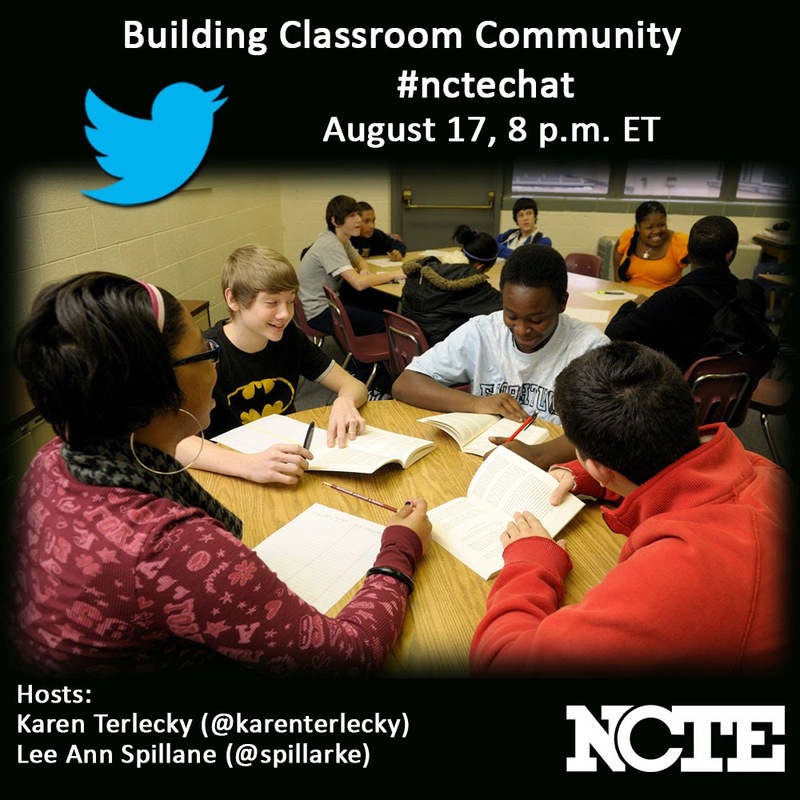 And next Sunday, August 17, at 8:00 PM I have the privilege of co-hosting the #nctechat with Lee Ann Spillane. Our topic will be Building Classroom Community. What a perfect topic to think about at the beginning of a new school year. It was wonderful to take a break, but I'm delighted to join my online professional communities again. 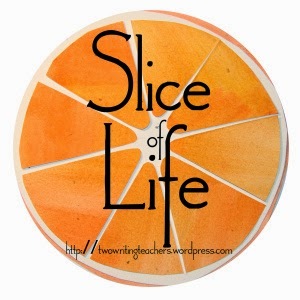 Thanks to the ladies at Two Writing Teachers for hosting us on Tuesdays for Slice of Life.